Nantclwyd y Dre is an historic timber town house in Ruthin, managed by our colleagues in Denbighshire Heritage Service. 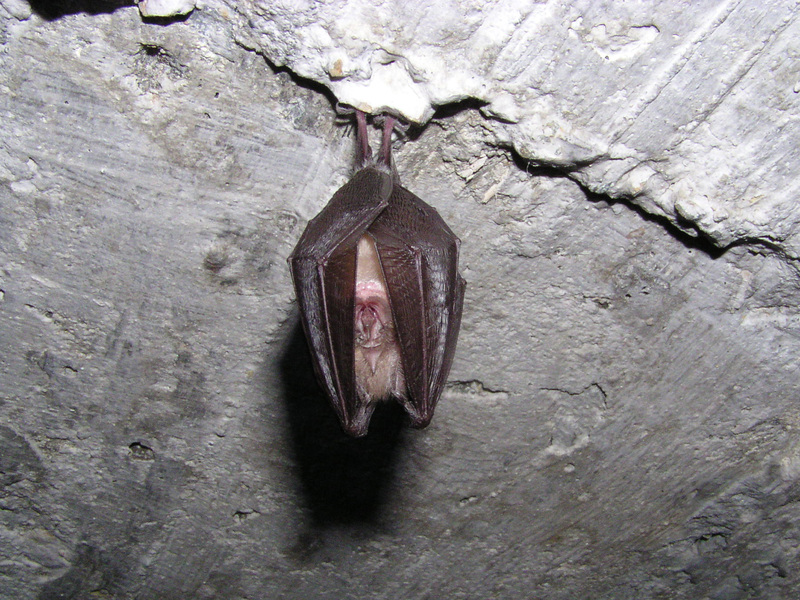 Not only is it home to a wealth of history, but it also houses a breeding colony of lesser horseshoe bats. The bats are females, which return to the attics each spring and summer to give birth and raise their young. Lesser horseshoes are one of the rarer species of bat in Britain, so we are incredibly lucky to have a sizable maternity roost in the heart of Ruthin. This year, the bats are becoming film-stars as they are being captured round-the-clock by infra-red cameras right inside their roost! Grant funding from Chester Zoo has enabled a new camera system, monitor and recording equipment to be installed, so that members of the public and scientists alike can learn more about these fascinating creatures. Visitors to Nantclwyd y Dre will be able to see live videos of the bats during the house’s open season (April to September), watching them inside their roost – maybe even glimpsing bat pups being born, suckled by their mothers or learning to fly. The new equipment, including multiple high definition cameras, replaces a single camera which has been at the house for nearly ten years. We hope that visitors enjoy the improvements! For the first time we are also able to bring live footage to an online audience, via the Chester Zoo website, thanks to sponsorship from NW Systems Group. So even if you can’t visit Nantclwyd in person, you can check out what the mothers and their youngsters are doing from the comfort of your own home. Conservation of lesser horseshoe bats will be further supported by the use of the footage for research at Bangor University. Don’t forget that we’re hosting a number of bat-themed walks and events around the county this summer, including a chance to watch the lesser horseshoe bats emerge from their roost at dusk on 27 August. See our Out and About events programme for more details.